Many individuals believe that after filing for Chapter 13 bankruptcy they are in no position to get a home loan. However, there are lenders that specialize in helping bankruptcy filers get a home loan, refinance an existing mortgage, or complete a cash out refinance. Here are 5 steps you can take in order to position yourself to achieve your mortgage goals. When you are looking to buy a house after bankruptcy, some companies will provide you with a 3-in-1 credit review. This way you can see if there are any factors that are positively or negatively impacting your credit. Make sure that every dollar you earn has its place. Your income needs to go towards paying your bills and bankruptcy plan payments first. Take advantage of free online budget tools like Mint to help you create monthly budgets. Find a trusted company that provides secured credit cards. This form of payment can help you rebuild your credit score, by allowing you to pay off your monthly purchases regularly. Click here to see some trusted secured credit card providers. After you have paid your fixed monthly bills, see how much you can put aside in your savings account each month. Whether its $5 or $500 any amount you can save after your fixed monthly expenses is a step in the right direction. Building your savings account is a crucial step that can help you buy a house after bankruptcy. Now that you know how much you can save each month it is time to determine a goal for your down payment. In order to see how much you need to save reach out to a Mortgage Consultant. 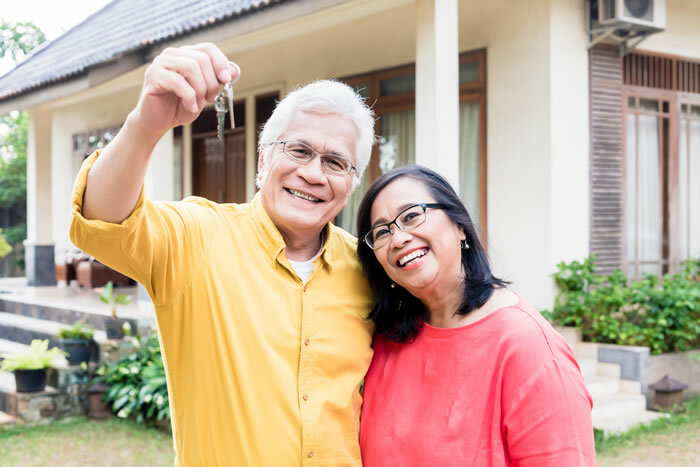 They will be able to go over the different home loan programs you qualify for, and tell you how much your down payment and reserve requirements will be. Some loan programs have little or no down payment requirements. Your monthly home expenses are not just your mortgage payments. You need to budget for homeowners insurance, regular home maintenance, and appliance repairs. Nothing in house will last forever without proper maintenance, so its best to set money aside for when those expenses arise. When you are looking to buy a house after bankruptcy it is important to hire an inspector to provide a detailed report of the home you are seeking to purchase. It is also helpful to have an inspection of your current home in case there are any issues that will require attention before you sell your current home. When purchasing a home after bankruptcy its important to have some cash set aside for any improvements or fees that you feel are necessary. Closing costs and attorney fees are two examples of expenditures that you will need to account for. Also, see if your new home is going to require a special type of flood or earthquake insurance. You will need to make sure that you have all of your documents in a central location so it is easy to share them with the required parties. After filing for bankruptcy you already understand the intense process of collecting the necessary documents such as pay stubs, tax returns, asset lists, etc. While the process of buying a house after bankruptcy isn’t as detailed, you still will need to provide some financial documentation to your home loan provider. Below are a few items that will most likely be requested by your mortgage company. Connect with a Mortgage Consultant. He or she will be able to provide you with an in depth consultation where you can share you mortgage goals.